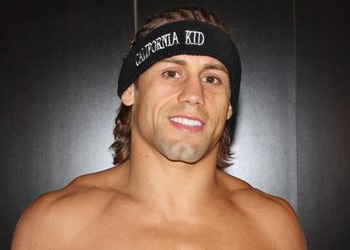 Exactly seven days after beating Eddie Wineland at UFC 128, the world’s premier MMA promotion announced Urijah Faber will challenge bantamweight champion Dominick Cruz for his title at UFC 132 on July 2nd. Cruz was last seen beating Scott Jorgensen in the WEC’s curtain call this past December. That was the same night Anthony Pettis unleashed his “Showtime Kick,” so it’s understandable if you forgot about their 135-pound affair. Cruz has been rehabbing his surgically repaired right hand since the victory. Faber has posted a perfect 2-0 record since dropping down to the bantamweight division. Prior to his unanimous decision win over Wineland, he submitted Takeya Mizugaki at WEC 52. “The California Kid” handed Cruz his only professional blemish in March of 2007. The former WEC featherweight champ defended his title that evening by submitting his mortal enemy in the opening round. Speaking of rematches, UFC 132 will feature the welterweight mulligan between BJ Penn and Jon Fitch. The pair battled to a controversial draw last month at UFC 127. The Mandalay Bay Events Center is scheduled to host the show.